Since 1989 Almaden RV Service & Repair Center in San Jose has be growing their extended family of loyal customers. Many of which drive a very long way to have Almaden RV care for their home on wheels instead of an RV Service & Repair center near their hometown or city. There’s a famous judge from Arizona, who’s name we won’t mention, that has been visiting Almaden RV for several years. 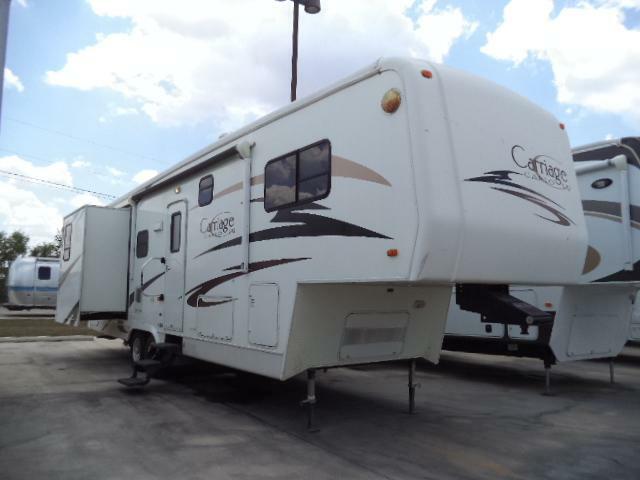 At the change of the season he brings in his 2006 Carriage Cameo 5th Wheel, like the one pictured, for service and repair. On his first visit, he had trouble with the sliding door in his 5th wheel, which the other RV repair shops were unable to fix correctly. Chris Caprino at Almaden RV had the large sliding glass door completely removed, plumed square and then re-set. This totally solved the problem and the judge became another loyal Almaden RV Customer. On his last visit, the judge had all the wheel bearings replaced and new springs installed. He drove away happy and confident that the work performed on his 5th wheel was expertly completed and at a fair price. Have you checked your wheel bearings lately? If you don’t remember, then bring it in to Almaden RV for a free inspection. You’ll get the facts with down-to-earth customer service and work completed quickly by factory trained and certified technicians. 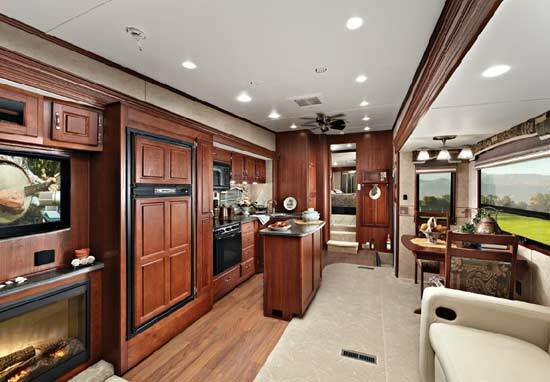 Travel with peace of mind and comfort by visiting Almaden RV in San Jose, CA.